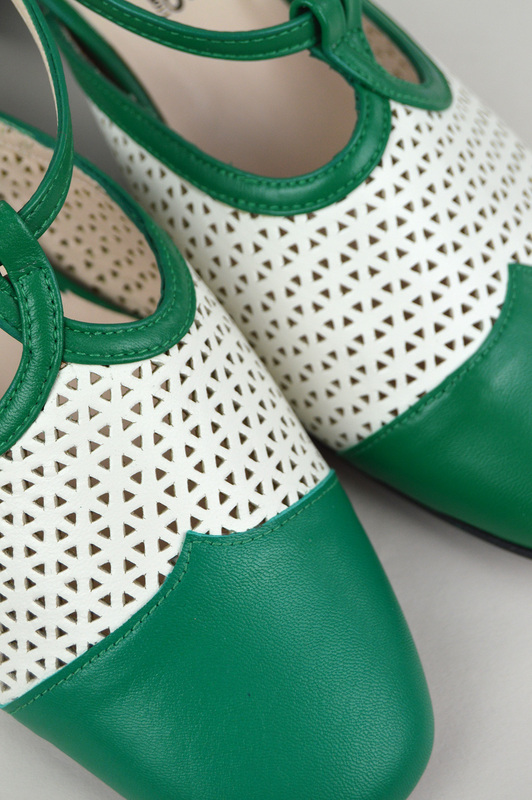 The contrasting gorgeous, vibrant green leather with the cream cut out patterned upper looks so classy and will work brilliantly with any outfit. 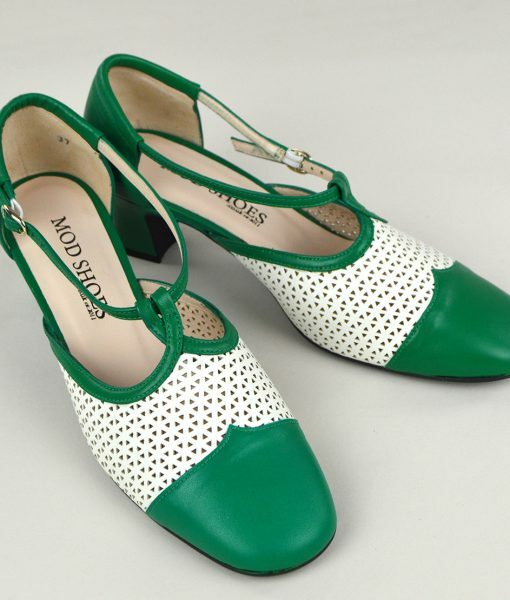 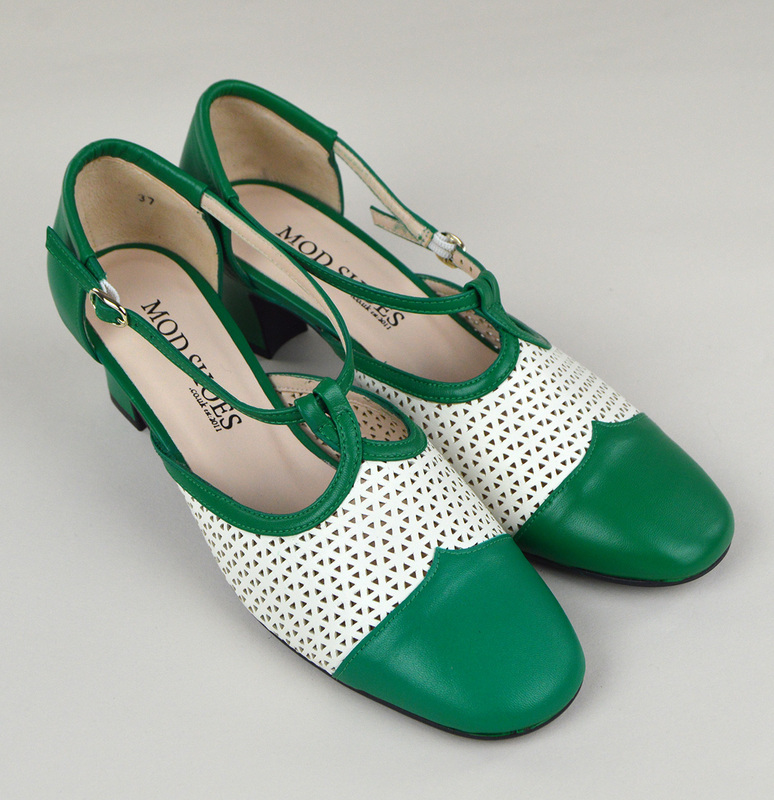 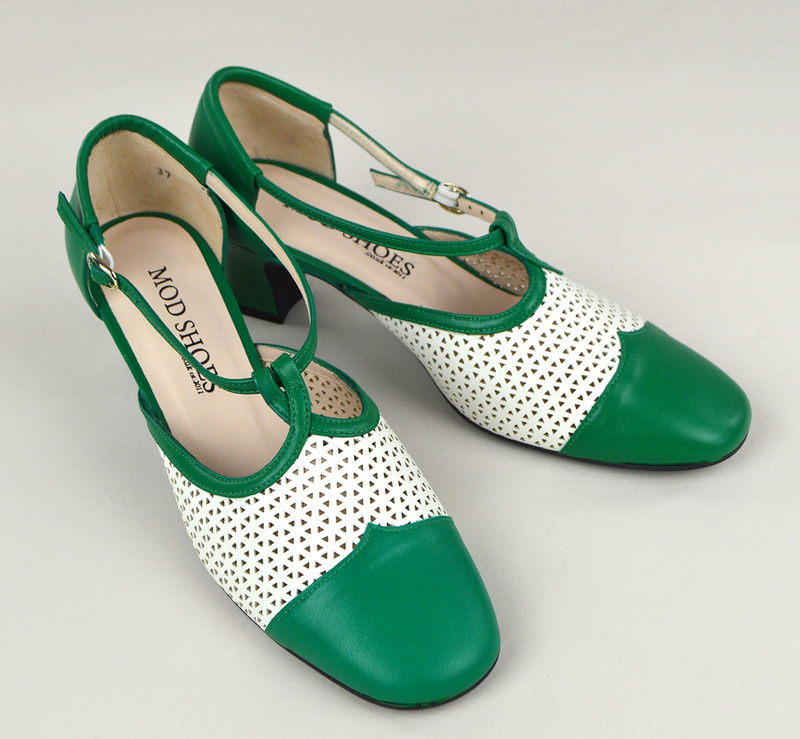 They would be perfect with a pretty 1940’s style tea dress, or smart skirt suit. 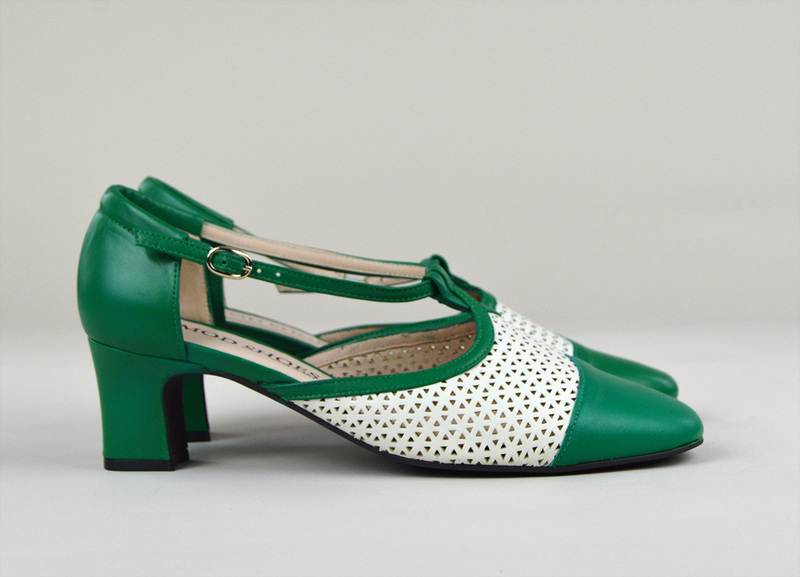 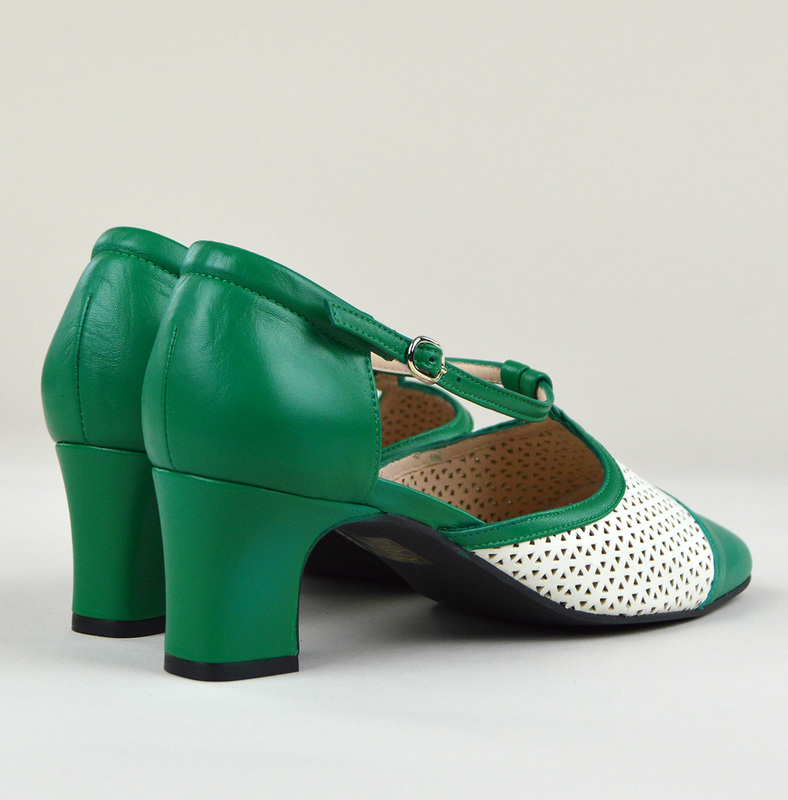 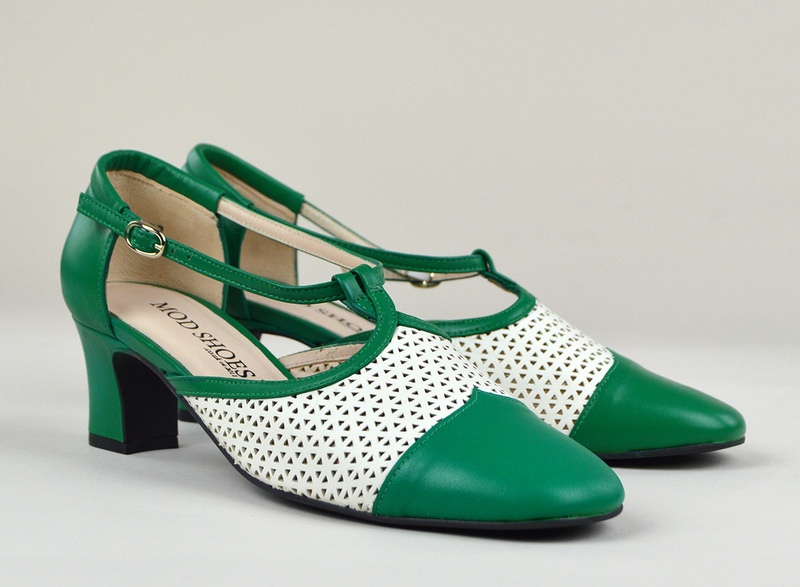 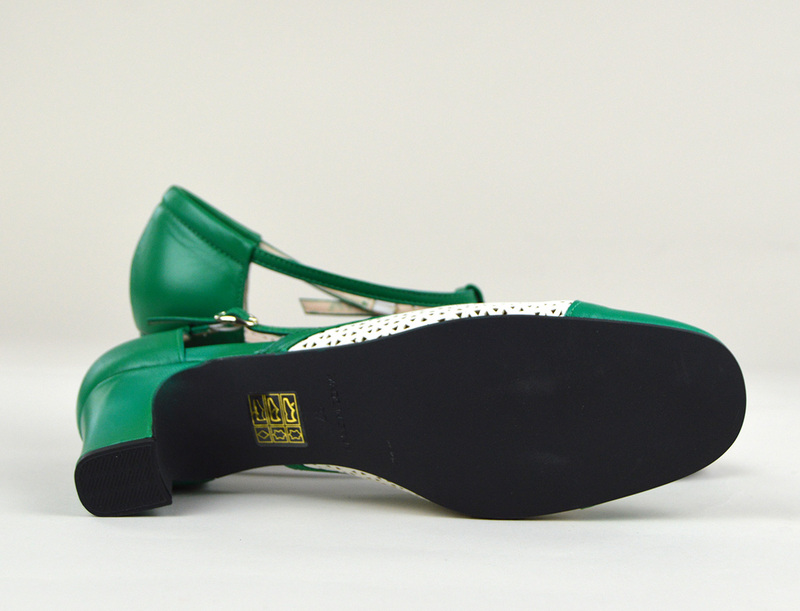 Or equally fabulous with a flouncy 50’s skirt or cute 60’s shift dress.They really are a beautiful, versatile shoe, and we hope that you will love them as much as we do !